So this not blogging about Christmas every day thing isn't working out so well for us... We apologise, we do know it's only mid-November but all of a sudden Chrimble tinged amazingness is EVERYWHERE!! This week between sipping Starbucks Toffee Nut Lattes and nibbling on Pret 'Harry' Christmas Gingerbread Men, we suddenly realised that we now only have 14 days until the start of December. And you know what that means? Yes, just two weeks to get yourself all advent calendared up and ready to begin the countdown to the BIG day! 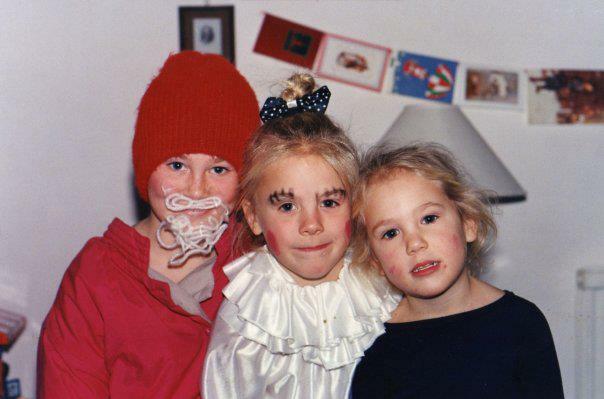 When we were baby Mice, we had a very well-meaning Auntie who would tell Mummy Mouse each year not to buy us advent calendars because she had it sorted. Fast forward to the 1st December when three very over-excited little girls were presented with their advent calendars which always seemed oddly flat and a just a little bit too light. Nonetheless, we'd carefully open the little door labelled '1' pulling back the cardboard flap to reveal... a picture of a candle. A picture of a candle? What use is a picture of a candle to anyone (let alone a deliriously Christmas excited six year old...)? We would then have to spend the next 22 days opening windows to reveal lots more vaguely winter related pictures before finally on the 24th we'd get to open a big door to reveal... a big picture of baby Jesus. Great! 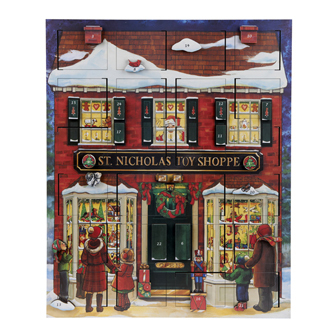 We don't want to sound like horrible spoiled brats (but we're going to...) but an advent calendar needs to be something you look forward to opening every morning, a little treat each day that adds to the building excitement that CHRISTMAS IS SO NEARLY HERE! Frankly a picture of a candle just doesn't cut it. So, traumatised by years of rubbish picture advent calendars, as fully grown-up adult Mice, we now make sure that each year we get a proper advent calendar. 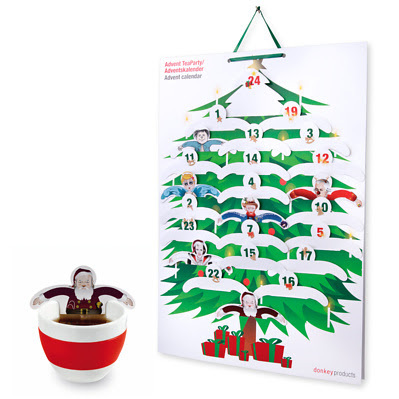 An advent calendar that at the very least delivers a daily dose of chocolate. An all singing all dancing, non-picture advent calendar. With just a couple of week's to get this year's sorted, we've rounded up our top advent calendar picks and decided to share them with you all because we know we're not the only ones who turn into deliriously Christmas excited six year olds come the 1st Decemeber... If you're a bit of a Scrooge, look away now! Christmas trees, wreaths, snow covered rooves and twinkly windowed toy shops packed full of shiny new soldiers, rocking horses and other toys that children only really ever want in Enid Blyton books. Complete English Christmas perfection. 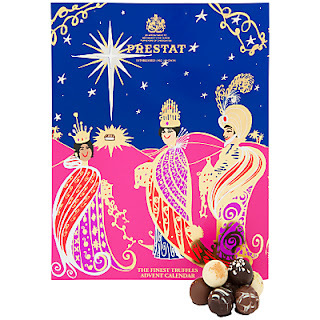 And who better to come up with an advent calendar that personifies all of that traditional yuletide Englishness than luxury department store, Fortnum & Mason. 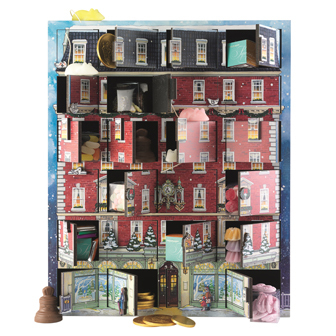 Step up the Fortnum & Mason wooden advent calendar (£95) and the Toy Shoppe advent calendar (£85). Both are reuseable wooden calendars which come stuffed with an array of Christmassy old school sweet shop treats, think sugar mice, chocolate coins and humbugs. Scoff the lot this year and then snap up refill packs (£45) next year for a pre-Christmas calendar restock. If you're feeling a bit Blue Peter, how about knocking up your very own Christmas countdown? Flex your creative side, save a bit of cash and include daily gifts with a difference, from penny sweets to stocking stuffers like these Scrabble magnets or a pair of festive knickers! We love the idea of these advent pegs each numbered and each holding a teeny, tiny surprise all wrapped up in brown paper and festive, stripy string. 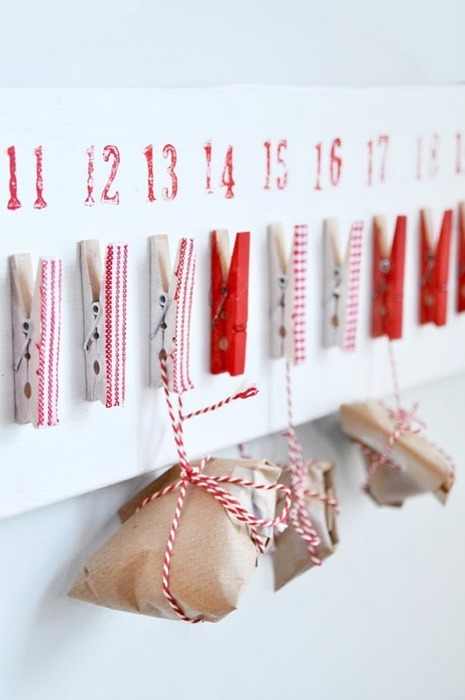 Paint your own pegs or cheat a little and snap up these East of India Advent Pegs (£5.94). If you like to start the day with a shot of liquor, perhaps it's an idea to kick off the new year with a resolution to join AA. 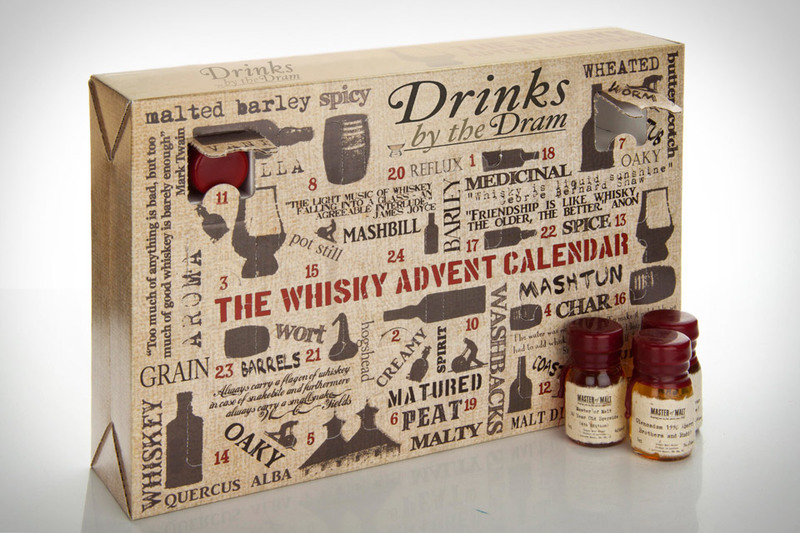 But, in the meantime you may as well snap yourself up every alcoholics dream, the Whisky advent calendar (£180). Each day, open your advent calendar window to reveal a 30ml dram of whisky including one very special little bottle of 50 year old single malt Scotch (which if you were going to buy a full bottle would be around £300). Not a whisky fan? No us neither, but we do love a gin & tonic... so we can only assume that the Ginvent Calendar (£79) was made just for us... 24 mini bottles of gin from unusual artisanal brands to all your trusty favs - that's what we call an proper Christmas countdown! 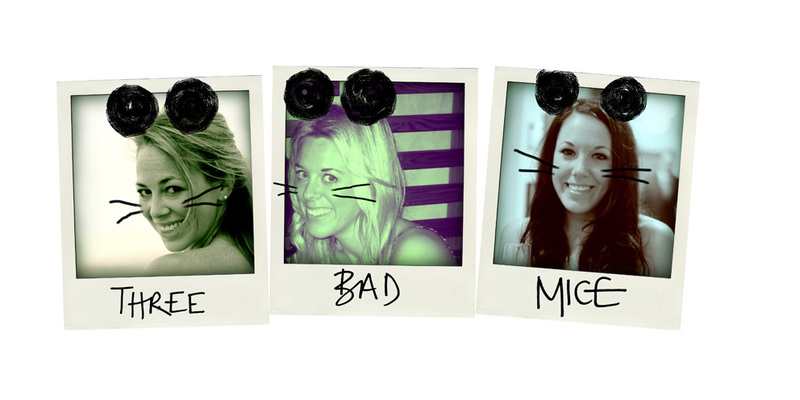 We blogged almost two months ago now about Selfridges' super duper, sparkly, amazing beauty advent calendar. The sales patter described it as a calendar that's "sure to be a sell out" and it turns out that wasn't just spin, this baby is currently out of stock... Luckily we've tracked down a pretty awesome alternative beauty calendar, the You Magazine beauty advent calendar. Behind each door you'll find 24 miniature tubes, bottles, pots and jars of products from all your favourite brands from Benefit to Eve Lom and Philosophy to Dermalogica. We think it may be even better than the Selfridges one and it comes in a fraction cheaper at £59.95 which with an RRP value of £210 is giving you a big bang of beauty for your buck. 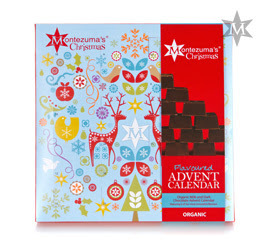 We're loving the Montezuma's flavoured milk & dark chocolate advent calendar (£9.99) with organic chocolates in a range of flavours from coffee to orange & geranium. 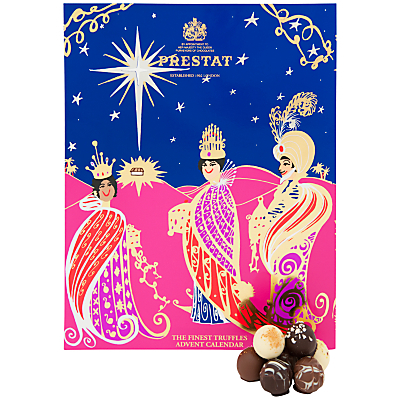 Then there's the Prestat Luxury Chocolate Advent Calendar (£30) with a truffle for each of the first 24 days of December (that's if you can resist snuffling out all the salted caramel ones on day 1...). 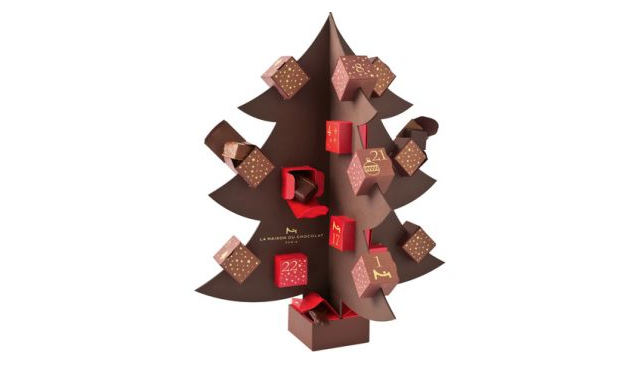 Or there's the gourmet Maison du Chocolat Christmas Tree advent calendar option (£48) which may just be too beautiful to eat (a slight glitch). I wish I had money to spare and splurge on an amazing advent calender! 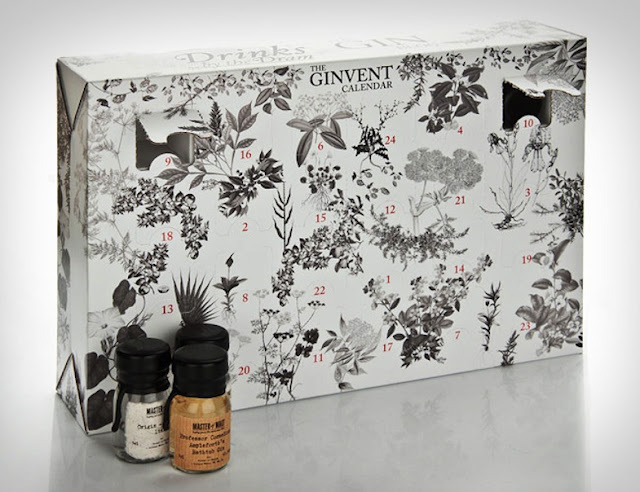 Really liking the Ginvent calender (standard) and the beauty one. As for me, I'll be sticking to my usual Disney princess/Barbie calender. It's just not Christmas without a dose of cheap chocolate on a morning!